The deadline for signing players from the 2018 MLB Draft has come and gone, as players that were selected June 4-6 in the First Year Player Draft had until 5:00 p.m. ET on Friday to sign with their respective clubs. Of the 62 former PG All-Americans that were selected, 46 elected to begin their professional careers. The collective total of the bonuses these former PG All-Americans signed for is quite staggering, as that total came to $70,994,398, and that doesn't include the bonus for 30th-round pick Cobi Johnson (Blue Jays), whose bonus information was not available. This includes the draft's fifth overall pick, Jonathan India, who signed with the Reds for $5,297,500. 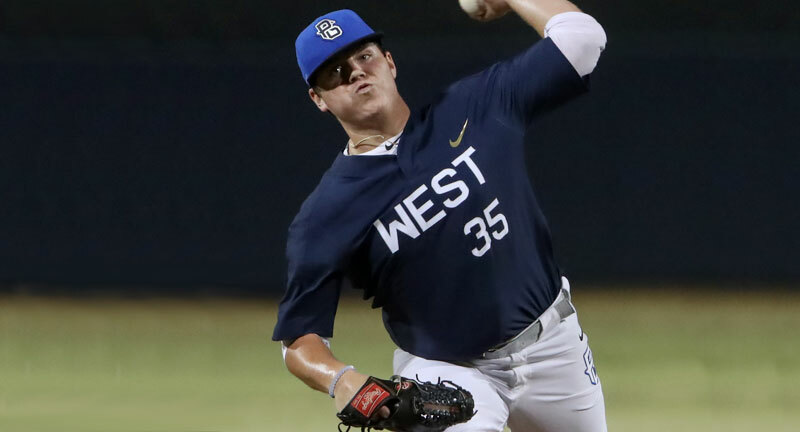 Ryan Weathers signed for the second-highest amount of the PG All-Americans, $5,226,500, and the most of any player that participated in the 2017 Classic. Of the 62 players taken, that's an average of over $1.15 million per player. Of the 46 players that signed, that's an average of over $1.54 million per player. Two notable PG All-Americans from the 2017 Classic were selected in the first round but did come to terms by the deadline. Carter Stewart, the eight overall pick by the Atlanta Braves, and JT Ginn, the 30th overall pick by the Los Angeles Dodgers, are both committed to play for Mississippi State, a team that participated in the 2018 College World Series. Thirty-seven of the top 39 overall, and 42 of 46, players selected that had previously played in the Classic ended up signing. After Stewart and Ginn, the next highest selected player that did not sign was 14th-round pick Elijah Cabell (Brewers). Since the game's inception in 2003, 206 PG All-Americans have been selected in the first round of the draft and 157 have played in the big leagues. Here are the Perfect Game All-Americans selected in the 2018 MLB Draft and the bonuses they signed for. For the players that didn't sign their college commitment (or the school they attended in 2017 that they intend to return to for the 2018 season) is listed in parenthesis.